Sun & Ski — Corinth Land Co. 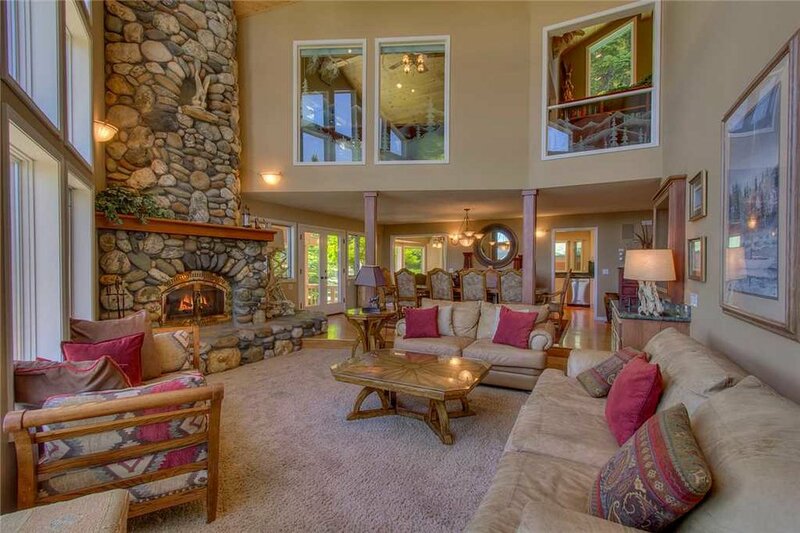 The Cheshire Estate is a 4,770 square foot home nestled on a very private lot, with national forest on three sides. The Cheshire Estate was one of six homes previewed on the 2004 North Tahoe Garden Tour. 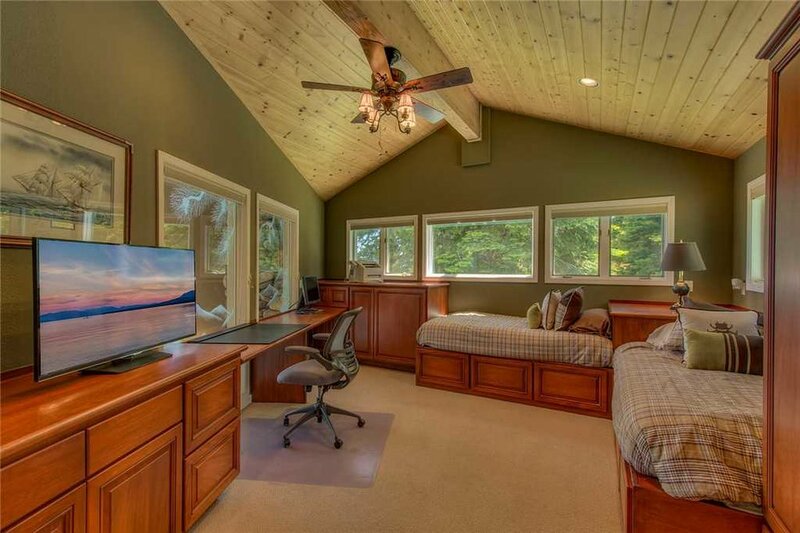 It has private beautiful grounds, large lawn areas and waterfall. The interior was professionally done and includes high end furnishing and designer bedding (Calvin Klein and Ralph Lauren). 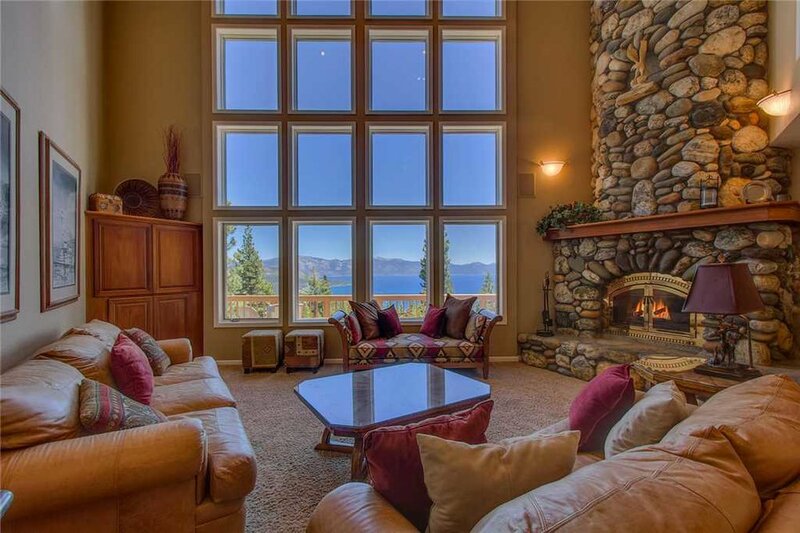 As you walk in the home, the ceiling soars up 30 feet with a full wall of windows that overlook the beauty of Lake Tahoe. 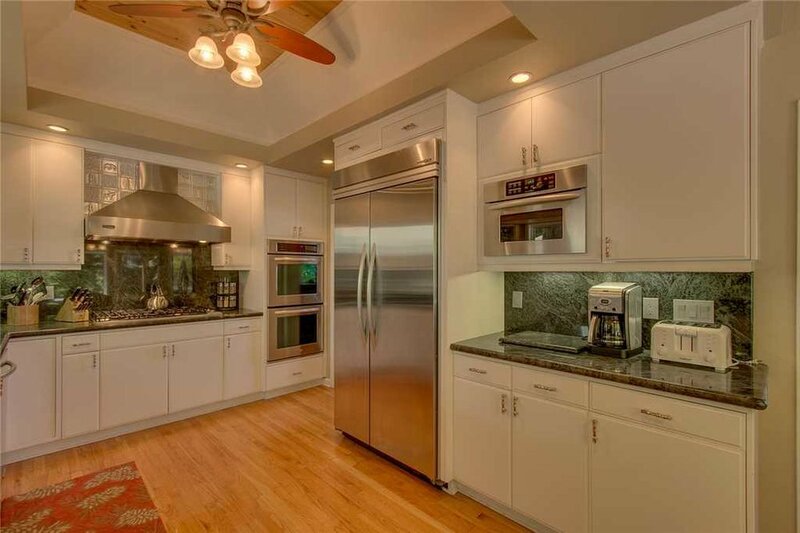 The kitchen is designed for those who enjoy cooking. 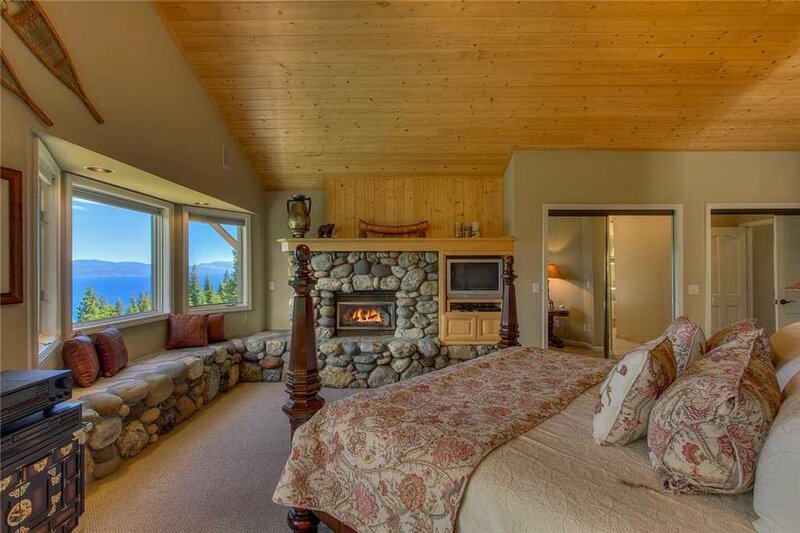 The master bedroom also has a lake view and rock fireplace as well as a extra large master bath with jacuzzi tub. The home is spacious enough for the whole family. The separate den has a pool table and sectional sofa with large screen television. Walk out from the den to the 1,400 square foot Quartzite patio and hot tub looking over the lake and open to gaze at the stars. Get your workout done in an extensive gym and a steam room for four. There is also a library and office to keep in touch with all your business needs. 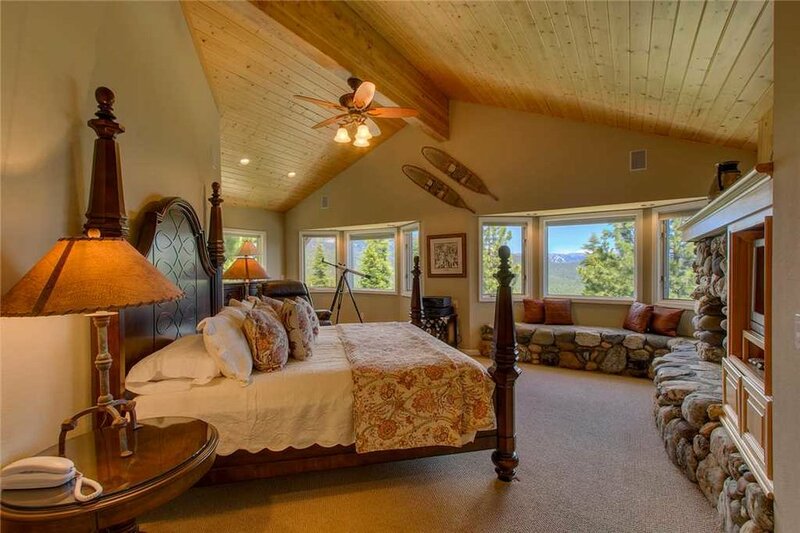 You will enjoy beautiful lake and mountain views throughout the entire home from Diamond Peak Ski area to Heavenly Valley. 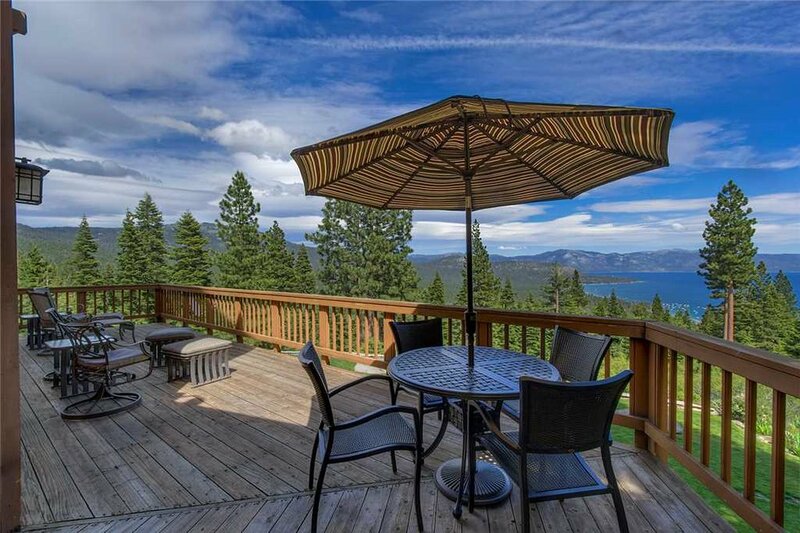 Located in the Kingswood area just minutes from Northstar California ski resort and the charming mountain town of Truckee. The Valley offers a multitude of activities to choose from including world class skiing (downhill and cross-country). In the summer, you have available to you championship golf, horseback riding, hiking and tennis. For dining the area is close to a number of excellent California cuisine restaurants. For those evenings you would like to brave the gambling crowds or see a show, you are only 10 minutes from the Nevada casinos. Your choices of activities are endless or you can just choose to relax and enjoy the solitude and serenity of this mountain retreat.